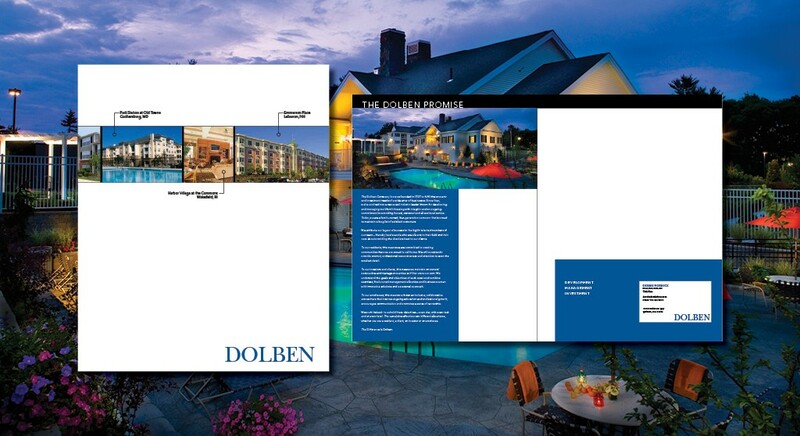 The Dolben Company is a multifamily housing development and management company with suburban communities through New England and the mid-Atlantic. 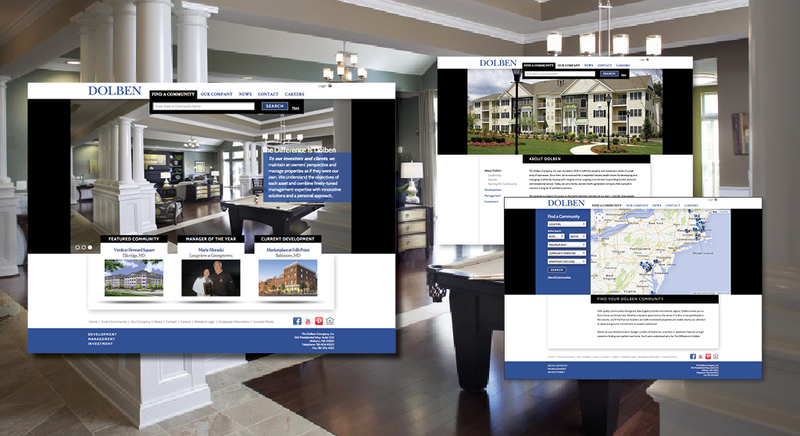 Delucchi Plus was hired as the agency of record, providing marketing services for multi-family properties across their full portfolio. Our engagement began with a corporate rebrand — meeting with stakeholders, interviewing the management team and employees, and creating an evolved messaging strategy and brand platform. 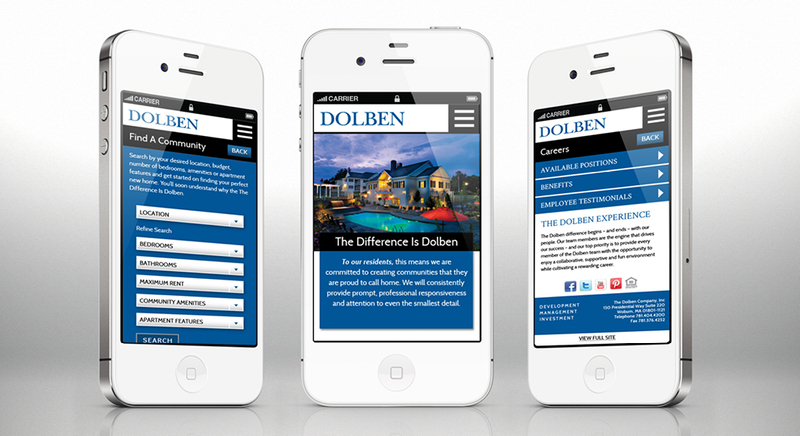 In addition to redesigning all corporate collateral, we developed a new website to effectively communicate with employees and investors as well as current and prospective residents. The site build included social media feeds, an interactive map and a community search functionality that filters by desired location, budget, number of bedrooms, amenities and features. Built on an Expression Engine CMS, the website subscribed to responsive design — automatically resizing in response to viewing platform, whether laptop, tablet or mobile — and could be easily edited by members of the management team. 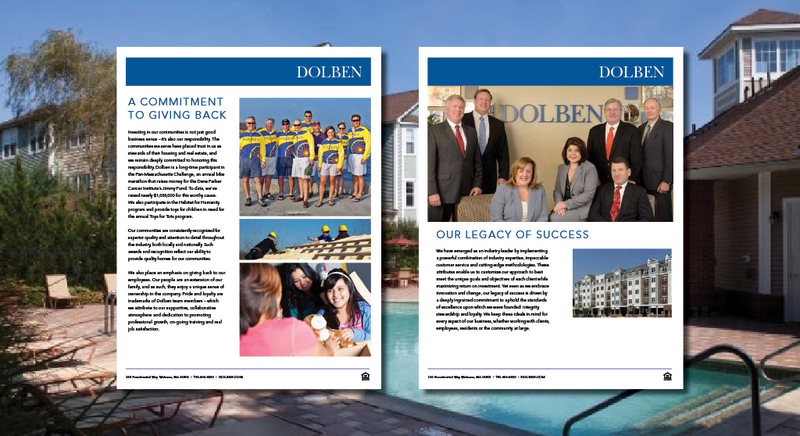 With a new brand image that communicated a fresh, forward thinking identity, Dolben was able to leverage all new brand collateral in new business efforts to attract more clients and increase its close ration in new business pitches.